Hong Kong (CNN) Adeline Chan’s nose crinkled at the market’s pungent, briny smell. According to Hong Kong’s tourism board, this seafood market has been around for at least 50 years, but the dried seafood trade can be traced to the 1860s, said Sidney Cheung, director of the Centre for Cultural Heritage Studies at the Chinese University of Hong Kong. As much as half of the global supply has been found to pass through Hong Kong, the second-highest consumer of seafood in Asia at 71.8 kilograms (158 pounds) per person per year. 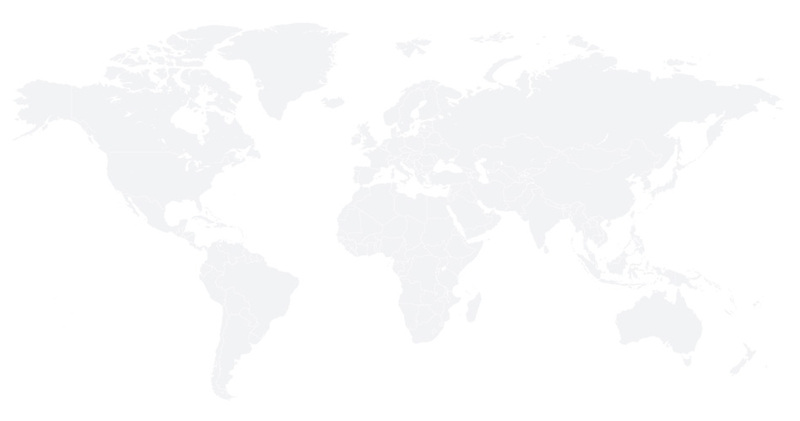 This is more than three times the global average, according of the United Nations Food and Agriculture Organization. 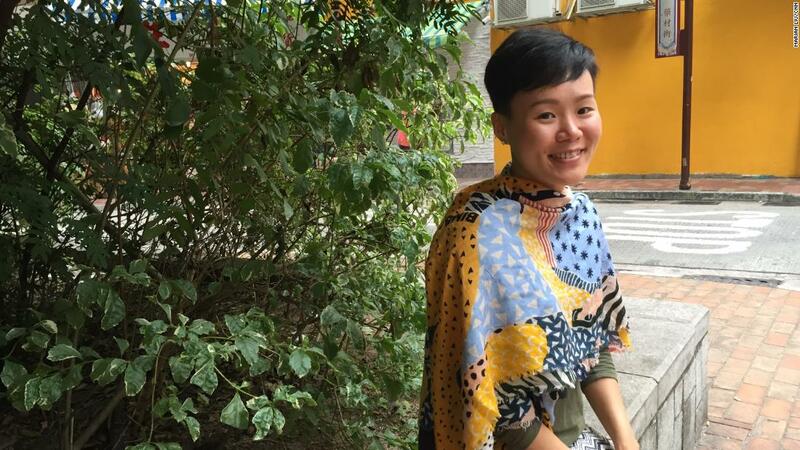 “There was an old saying in Hong Kong in the 1970s: ‘To stir shark fin with rice.’ It was used to describe the lifestyle of the wealthy, implying that they were rich enough to afford shark fin on a daily basis,” said Tracy Tsang, manager of WWF-Hong Kong’s Footprint program. 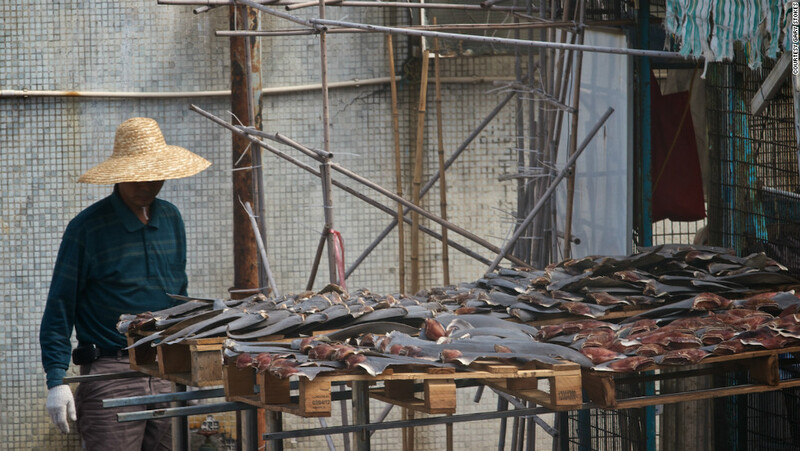 Many people in China, Taiwan, Indonesia, Singapore, Macau and Vietnam all consume shark fin — primarily the Chinese population. “The concept of ‘no fin, no feast’ is still deeply rooted in many people’s minds,” said Bowie Wu Fung, an 86-year-old Hong Kong actor who now speaks for WildAid, appearing on billboards in Hong Kong against shark fin consumption. Funghopes to reach the older generation, who constitute the bulk of the buyers at Hong Kong’s Dried Seafood Market. The bigger the fin and the thicker the veining, the more expensive it is, store clerks at Hong Kong’s Dried Seafood Market said. Prices can range from $90 Hong Kong dollars (about $12) for 600 grams (1.3 pounds) for small shredded pieces to $7,000 Hong Kong dollars (around $930) for 600 grams. 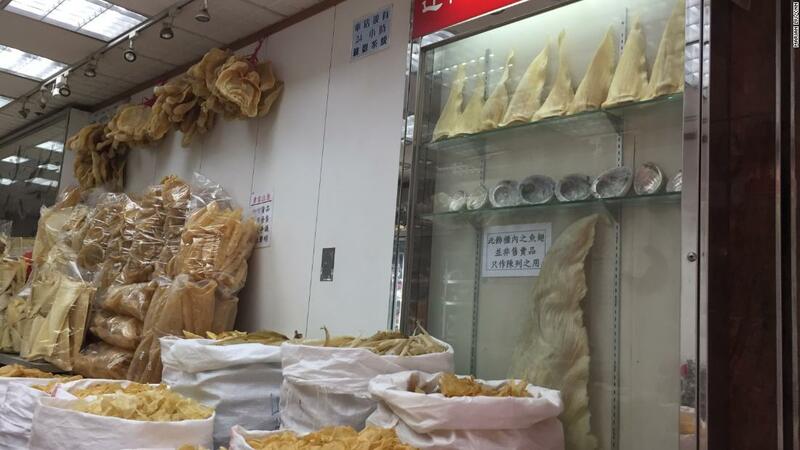 According to a report released in 2016 by the conservation organization Traffic, shark fin prices can range from $99 to $591 per kilogramin Hong Kong. More than 1 million tons of shark are caught each year, according to a 2018 study in Marine Policy, which named Hong Kong as the “world’s biggest shark trading hub” where shark fin imports have doubled since 1960. Nearly 60% of the world’s shark species are threatened, the highest proportion among all vertebrate groups, and the populations of some species, such as hammerhead and oceanic whitetip, have declined by more than 90% in recent years due to the shark fin soup trade, according to the study. 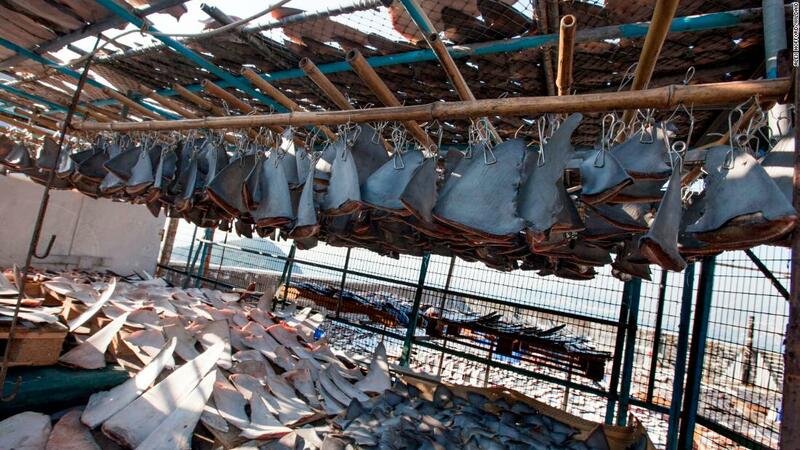 Hong Kong customs seized at least 5 metric tons of illegal fins between 2014 and July 2018. 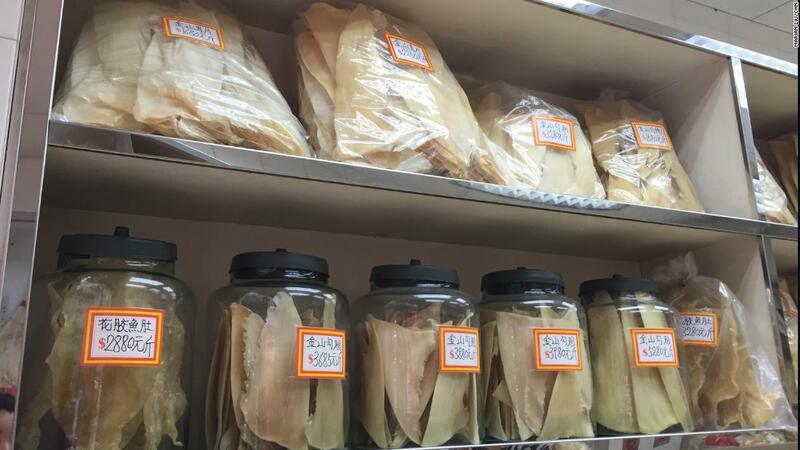 From January to October 2018, there were six smuggling cases of endangered species of shark fins with seizure, involving a total of 236 kilograms (520 pounds) of dried shark fins, according to Hong Kong’s Agriculture, Fisheries and Conservation Department. But continued interest is putting the environment — and humans — at risk. When a shark’s fin is sliced off, the animal dies, said Yvonne Sadovy, lead author of the Marine Policy study and a professor in the School of Biological Sciences at the University of Hong Kong. “It cannot move, feed or swim, so it just starves to death on the sea bottom. Maybe it is like cutting the wings off a flying plane: The plane will be destroyed,” she said. 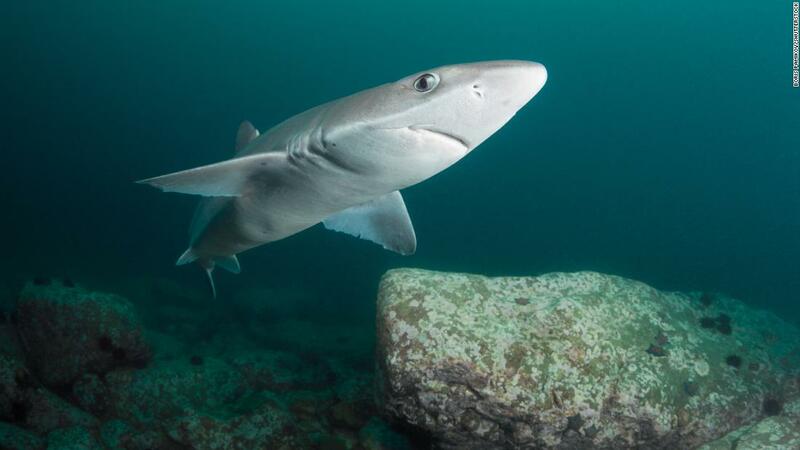 “There are sharks that must continue swimming to be able to breathe, as they rely on the forward motion to keep water passing through their gill slits and get oxygen,” said Stan Shea, marine program director for the Bloom Association Hong Kong, a nonprofit that works to preserve the marine environment. “Most sharks are important predators and therefore can play key roles in keeping ecosystems functioning. Depletion of sharks is expected to have negative effects on populations of prey species, many of which may be also be sharks, or rays,” said Nick Dulvy, co-chairman of the International Union for the Conservation of Nature’s Shark Specialist Group. 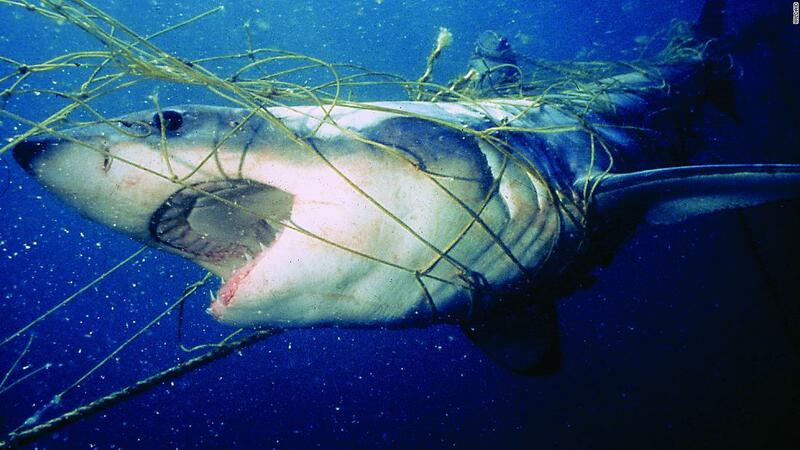 Studies have found that sharks accumulate marine toxins, as long-lived predators at the top of the food chain. The levels of these toxins, including mercury, lead and arsenic, exceed recommended dietary levels, according to articles in Marine Pollution Bulletin. Hong Kong’s Centre for Food Safety warned against the consumption of predatory fish species after finding a sample from a supermarket that contained a level of mercury eight times the permissible limit in 2017. “The main food safety concern for shark fin/meat and other large predatory fish is the accumulation of mercury, especially methylmercury,” the center said in a statement. 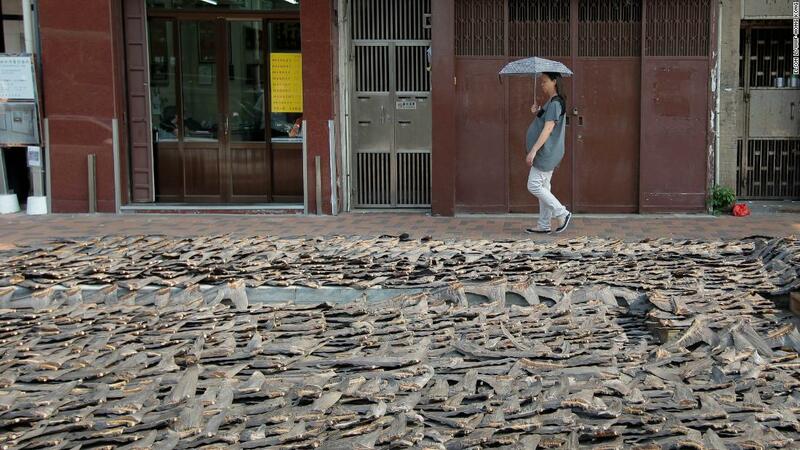 In 2016, WildAid tested samples of raw shark fin samples from Hong Kong and Taiwan’s dried seafood markets and found that all contained above the permissible amounts for arsenic and more than half exceeded levels for cadmium, a known carcinogen. A 2016 study by Mash found a cyanobacterial toxin in sharks fins linked to the neurodegenerative diseases Alzheimer’s disease and amyotrophic lateral sclerosis, often called ALS. Analyzing 55 sharks across 10 species from the Atlantic and Pacific oceans, her team found that the majority contained the cyanobacterial toxin β-N-methylamino-l-alanine, together with another environmental toxin — methylmercury — which is known to accumulate in sharks. 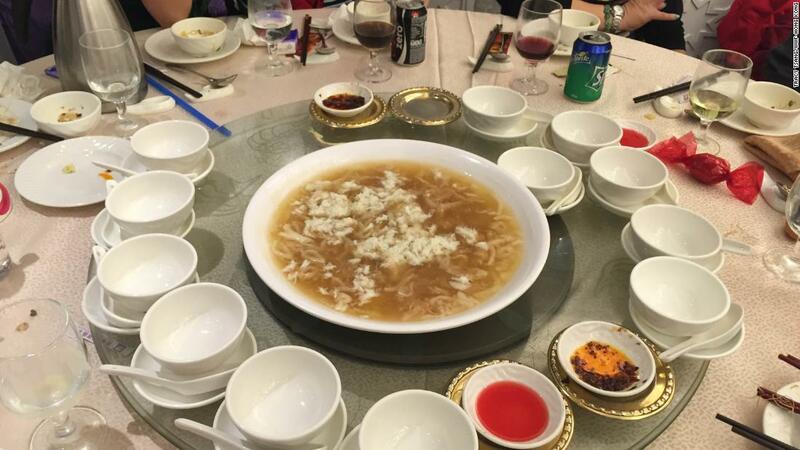 In contrast, the acceptability of excluding shark fin soup from weddings went up from around 78% to 92%, according to studies by the marine environment nonprofit Bloom Association of Hong Kong. WildAid and WWF-Hong Kong estimate that more than 18,000 hotels, 44 international airlines and 17 of the 19 largest container shipping lines have stopped serving shark fin and banned it from cargo, affecting close to three-quarters of global shipments. 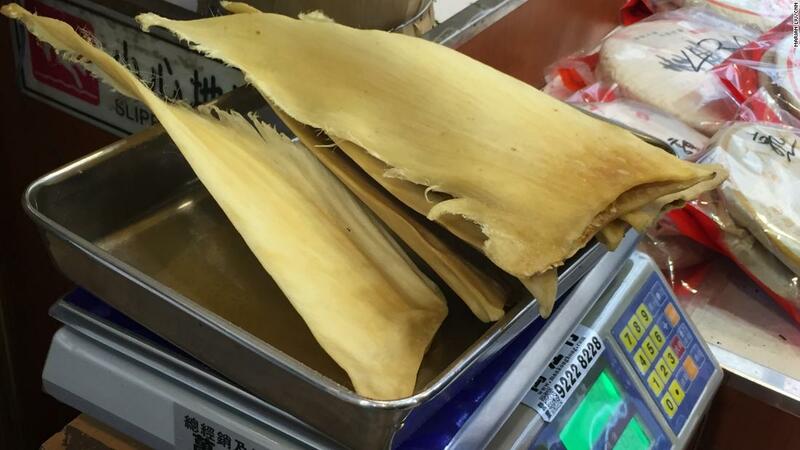 The volume of shark fin imported into Hong Kong has also dropped by half, from 10,210 metric tons in 2007 to 4,979 metric tons in 2017, according to Hong Kong’s Census and Statistics Department. 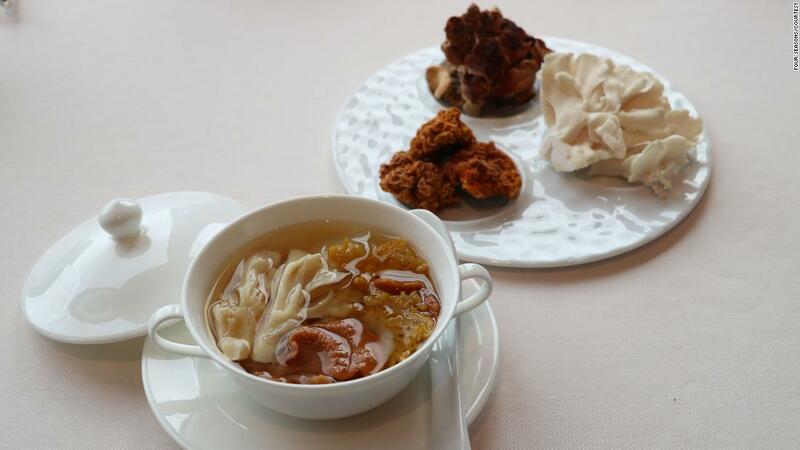 Joining Shangri-La in pledging to stop the sale of shark fin are Cathay Pacific, Four Seasons and, most recently, the popular Hong Kong restaurant chain Maxim’s, by 2020. The Four Seasons and some others offer a vegan version of the soup. “As more hotels and restaurants join together in this pledge, we send a strong signal to our community and can together help to reshape dining concepts around sustainability,” Tak said.